When a veteran of the U.S. Marine Corps found himself homeless and the victim of a pickpocket late last August, a local restaurant owner, an optometrist and a Eugene police officer came together to help. The veteran, Dean Grotzky, 53, had been living on the streets of Eugene since March 2016 after losing his job as a commercial truck driver. Grotzky said he suffers from fibromyalgia, chronic obstructive pulmonary disease, arthritis and post-­traumatic stress disorder. The PTSD stems both from childhood and six years in the Marines in the 1980s, he said. When he couldn’t pass a Department of Transportation physical last year, he said, he lost his job. Grotzky then lost his housing. But he wasn’t scared, Grotzky added. 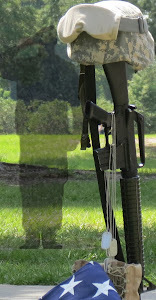 Peters is a legally blind Army veteran who was born in Jacksonville but lives in St. Marys, Ga. He served as a special operations aviator in the Vietnam War and was the driving force behind bringing the braille flag to the Jacksonville clinic. Anyone who visits the Veterans Administration Outpatient Clinic in Jacksonville will notice a new bronze American flag fastened to the wall near the main elevator. The flag is barely larger than a square foot, but even people without sight can appreciate the gesture and understand the power of its message. It’s meant to bring attention to the often-forgotten group of blinded veterans in the area. 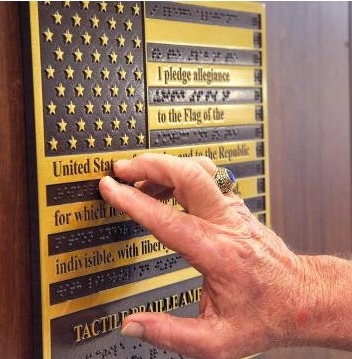 The Pledge of Allegiance is written in braille for anyone to feel. Johnson, a U.S. Air Force veteran and licensed security trainer, said he did it to put an end to the confrontation as quickly as possible. 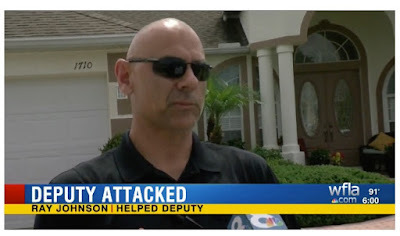 PASCO COUNTY, Fla. (WFLA) — The Pasco County Sheriff’s Office is thanking a veteran who helped a deputy take down a combative man. Officials said Ray Johnson stepped in to help when Jordan Caraballo started punching Deputy Jesse Larkin. “I was able to get him down, control his head so he wouldn’t throw me and that’s when he started punching me in the abdomen,” Larkin said. Larkin was responding to a domestic disturbance at a home in the 1700 block of Canoe Drive in Lutz on Monday. “It was probably 20 seconds, but it felt like 10 minutes,” Larkin said. Investigators said Caraballo had already thrown a glass object at a family member before Larkin arrived. Calls to 911 reveal that Caraballo was arguing with his mother and sister, which led to several calls for help. 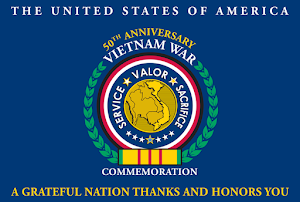 The U.S. Census shows Florida is home to nearly half a million Vietnam veterans. The VA’s health clinic in Cape Coral alone served 37,000 of them last year—and the number of Vietnam veteran baby boomers retiring to Southwest Florida just keeps increasing. A significant number of these new retirees are showing symptoms of Post Traumatic Stress Disorder—or PTSD—often for the first time. Bernstein said those symptoms combine with other, more well-known PTSD systems. Bernstein and other therapists said PTSD occurs or reoccurs in retirement because it’s a time in life with less structure. Vets have more time to think. They may have been using work as a way to cope. They were self-medicating by turning into workaholics. Now, that coping mechanism is no longer available, and any number of events can trigger symptoms. Even something as simple as going to an Asian restaurant, even though the vet may have eaten at the restaurant throughout their working life. Yes and maybe now you'll understand why 65% of the suicides involve veterans over the age of 50 then maybe you can explain to me why all the charities are not even talking about them or helping them? Today, nothing worked out the way I planned but that's ok now. My TV decided it needed to enter into the twilight zone, so I had to buy a new one. The cable didn't fit, so I had to go and try to find an adapter. So yes, you can gloat, I went shopping on Memorial Day...Karma! Long story short, I got to the cemetery when the service was over. Chairs were being folded up and Channel 2 News was just leaving. I had seen the service many times before and filmed it. Plus I knew Channel 2 would have some coverage of it, so I took a deep breath and started to walk around with peace and quiet for a change. As I walked, I stopped here and there, reading the stones with names, dates and branch of service. 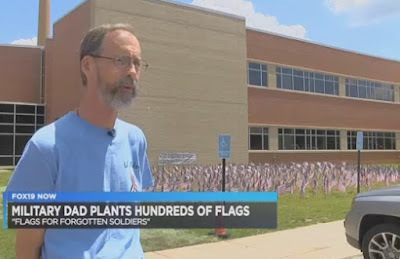 I couldn't help but notice how many had no flowers, no flags, no indication that someone was there for them. Then I thought about my own Dad and my husband's Dad. We were not there to leave a remembrance for them either. They are buried in Massachusetts and we're here in Florida. I knew it would be wrong to make assumptions about the families of these veterans laid to rest. It was just sad and made me miss our Dads more than usual. Monday morning, the Winter Park community gathered to give special honors to those who fought in Vietnam. 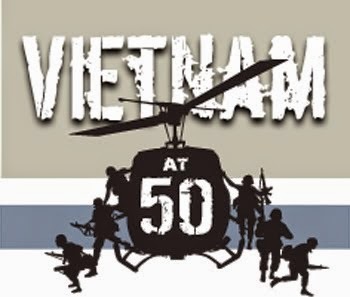 Organizers said unlike the veterans of World War II and Korea, Vietnam vets came home to a divided country and didn't have the support to adapt to civilian life. Michelle Meredith reports. It wasn’t until 2015, during the fourth recovery mission, that crews ran into the villager that witnessed Crosby's crash 50 years ago. He led them to the exact location of the wrecked F-8 Crusader plane. SAN DIEGO – The saga of a San Diego Navy pilot missing in action for 50 years came to a close Friday morning as the remains of Lt. Cmdr. 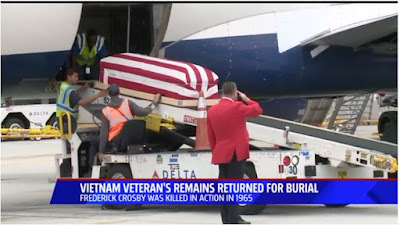 Frederick Crosby returned home. The Naval commander's flag-draped coffin arrived at Lindbergh Field from Hawaii just after noon. As his children, all now in late middle age, watched, their emotions flowed. “It’s nice to be able to let out the tears and to have some relief in our hearts,” said Deborah Crosby. Crosby had four children. Deborah is his only daughter. When people in a Northwest Austin community found out a homeless veteran's medical alert dog was missing, they jumped into action. Within an hour they had posted fliers and put together a reward. Doug Ferguson and his 7-year-old Golden retriever Elvis have quite a following in the area of Loop 360 and 2222. Doug said a series of events led him into a life on the street. Three years after he started living out of his car, he got attacked and was left epileptic. Doug applied for a medical alert dog through a Navy program and has spent every day for the last six years with Elvis. Until he woke up from a nap on Wednesday and his pup was nowhere to be found. Thanks to the community who cares so much about the duo, word quickly spread on social media and a young girl, whose brother thought he had brought home a stray, returned the dog. Yet again, there is what could be a powerful reminder of what Memorial Day means to those who served in combat, turned into a "don't care enough" to get it right. "'I can't do barbecues:' Veterans say Memorial Day time to discuss suicides in ranks" on The Tennesseean by Jake Lowary seemed like a good point to raise, but by the end of the following, it was clear the story didn't mean enough to get the facts right. "Memorial Days are tough for retired Staff Sgt. Jarrad Turner. He often politely declines invitations to Memorial Day barbecues. He can't celebrate that way. 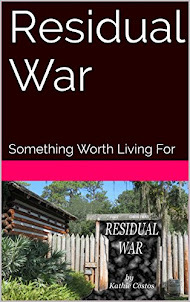 Those events conjure the horrors of war he experienced and still thinks about every day. The smell, the smoke, the flames all bring back harsh memories for Turner, and likely thousands of other veterans around the country. While Memorial Day may invoke tales of heroism in battle and the memories of those lost in combat, the holiday is increasingly a time some veterans remember those that took their own lives — often after struggles with post-traumatic stress disorder or other insurmountable internal strife." It never stopped being a time for those who served this nation and their families to not honor the sacrifices they know all too well. My Dad was a Korean War veteran and my uncles were WWII veterans. 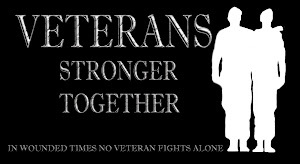 I married a Vietnam veteran and his Dad along with three of his brothers fought in WWII. My husband's nephew also served in Vietnam. At no time in our lives has this day represented what is celebration or saving money during Memorial Day sales. While most of the country is kicking off summer and planning parties, families like mine are going to Memorial Day remembrance serves. We go to cemeteries. We go through photo albums and see the young faces of far too many gone too soon. For us, we carry the price of what the rest of the country chooses to forget. "Freedom is not free" and the price paid by less than ten percent of the population pays the debt for the rest of their lives. 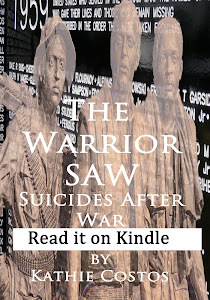 "Suicides among current and former military members hit a peak of 22 veterans per day in 2012, attributed largely to the mental horrors of war and violence that have remained vivid for thousands of men and women returning from the nation’s longest conflicts ever. The Department of Veterans Affairs and other groups say the rate of suicide deaths is now closer to 20 per day, based largely on figures from the CDC. 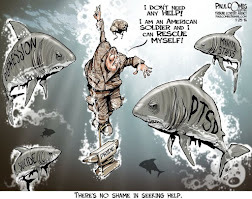 The most recent figures from the Defense Department indicate a consistent number of suicides among current military members — 478 were confirmed in 2016 among both active and reserve personnel — and no clear sign they're dwindling." They were more than numbers and the numbers were more than were reported. The VA report stated clearly the numbers were from limited data from just 21 states. Most did not read the report and they did not even know the majority of the veterans making the final payment on the debt that came with serving, were over the age of 50. The latest report from the VA put the number at 20 a day, and while part of the data came from the CDC, it was not the only source. Add into all of that the VA also stated the number counted was exactly the same in 1999, yet there were over 5 million more veterans alive at the time and no one was running around the country talking about something as if it mattered but didn't matter enough to actually read the report. Stunning! 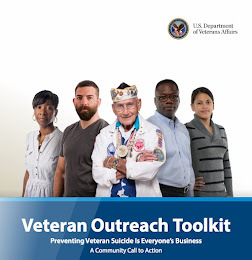 VA Suicide Data shows clearly that the majority of suicides involve veterans over the age of 50, but then again, they are also the majority of veterans in this country. They are also last on the list to talk about. Far too many people think the number they hear about is only OEF and OIF veterans. Next on the fact list is the number of OEF and OIF veteran suicides increasing after over a decade of "prevention" efforts by the military. Clearly it does not work because as the number of enlistments went down, the rate of suicides did not. Yep, one more thing reporters to not make the general pubic aware of, event though, as taxpayers, they are paying billions for something that does not work. As a matter of fact, evidence points to it making it worse. The military keeps claiming that the majority of servicemembers taking their own lives did not deploy. I'd like to see them explain how they think that is a good thing considering every member of the military has had that training. If it wasn't good enough for non-deployed, then how the hell did they think it would work for those with multiple deployments? Yet again, none of this matters to reporters. You't think they'd bother to put all the facts together and spend the time these veterans deserved from them, but alas, just not important enough to change the outcome. We're just going to have to visit more graves next year while yahoos pull stunts, running around the country, getting big donations, talking about something they don't care enough to learn about. Until reporters actually prove these stories do matter, the rest of the country will move on to celebrating next year on Memorial Day while we grieve for those who did not have to die! Tennesseans who work with veterans said Friday the state's suicide rates among veterans are declining. 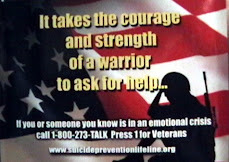 The Department of Veterans Affairs estimates 22 veterans take their lives each day in the U.S.
A recent report shows the percentage of veteran suicides in the state has been on a downward trend for the last few years. In 2015, Tennessee veterans represented 16.8% of all suicides. That's a decline from 17.2% in 2014, and 21% in 2013. 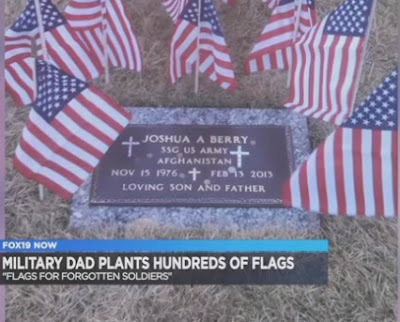 But on May 26, this was reported about Tennessee veterans. 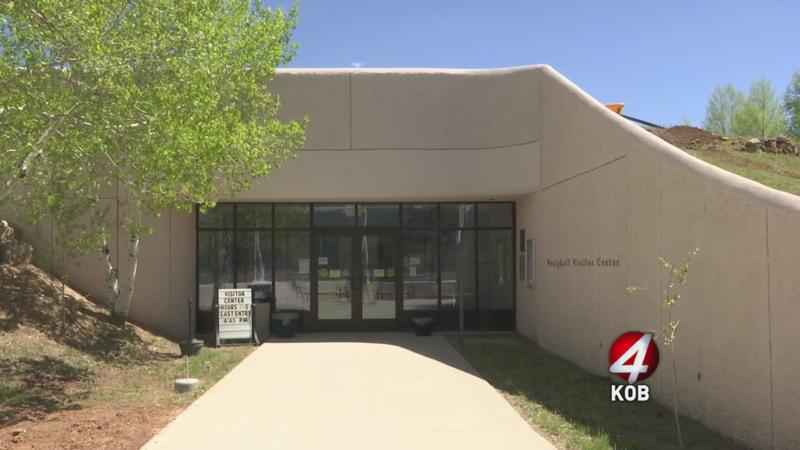 Suicide rising in the military ranks, but some programs offer hope Scott Ridgway, executive director of the Tennessee Suicide Prevention Network, said Fort Campbell has nine confirmed suicide deaths so far in 2017. Defense Department totals from the first quarter of 2017 have not been reported. Ridgway's group released 2015 totals this week, which shows increases in both veteran suicide and overall suicide. The numbers suggest one person between 10 and 24 dies by suicide every four days, and 16.7 percent of all suicide deaths in Tennessee in 2015 were veterans. The VA does not regularly report its totals, but the August 2016 report indicates suicide rates in veterans age 18 to 29 increased 150 percent between 2001 and 2014. The increase among males is greater compared with women. Bridges’ background has also been useful in sensitive situations. There have been times when the police were called to a suicidal subject or someone threatening to harm themselves. 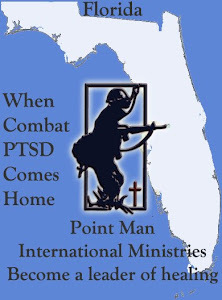 In some of those situations, the subject was a veteran struggling with post-traumatic stress disorder. Bridges said as a veteran himself, he’s been able to gain trust and credibility with those people and help them find resources. 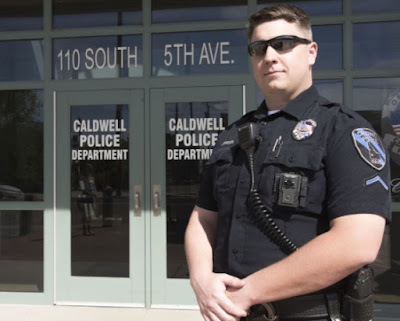 NAMPA — For six months, Caldwell Police officer Joshua Bridges hung up his police uniform and traded it for a different uniform for a recent deployment to southwest Asia.In addition to serving as a police officer for the city of Caldwell, Bridges also serves in the the Idaho Air National Guard. 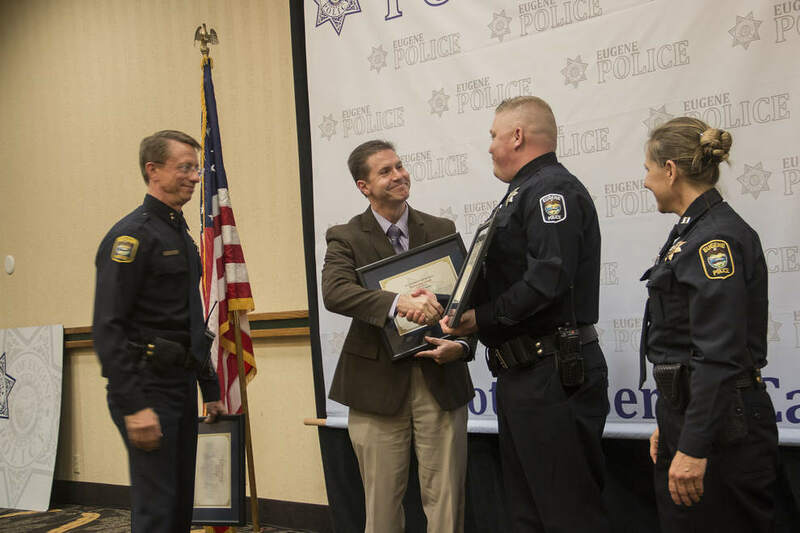 In addition to serving as a police officer, Bridges also serves in the Idaho Air National Guard in security forces, which he described as basically military police for the Air Force. He returned from his deployment in February and is back on patrol in Caldwell. Bridges is one of a number of local officers who serve or have served in the military. Some of these officers told the Press-Tribune that their military background has built a strong foundation for their careers in law enforcement. 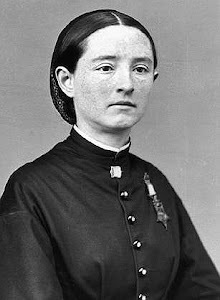 They were also called to each profession for similar reasons — to serve their country and community and make a difference. Working as a police officer involves discipline, structure and the ability to adapt to difficult situations. For local officers with backgrounds in the military, those skills have already been developed, and they say their experience in the service helped transition them into a career in law enforcement. “There are a lot of similarities, and I think that’s why you see a lot of veterans go into law enforcement or a similar field,” Bridges said. Bridges joined the Idaho Air National Guard in 2007 while going to school. He was hired to the Caldwell Police Department in 2011. Nampa Police Capt. Curt Shankel said veterans bring a sense of discipline and pride in service to the force. 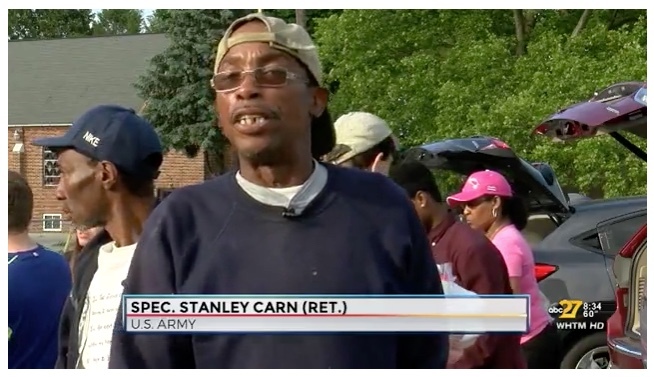 “When they come in from serving in the military, they continue that service, that pride and that sense of giving back and serving the community or country they live in,” he said. 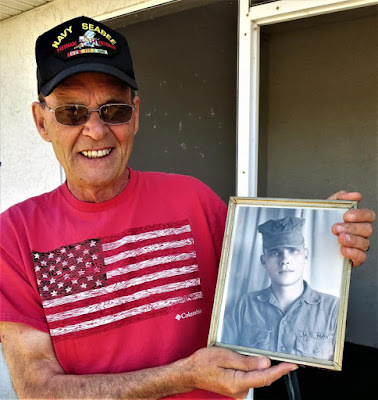 Hey Cong Tien Gunner--Marine Joe Elizondo is Looking For You! "All I want to tell him is thank you," the former marine said with tears in his eyes. "Eight people got killed in the air. His family needs to know, that he's an angel. Can you imagine how many they saved?" CORPUS CHRISTI - The Vietnam War claimed the lives of more than 58,000 American soldiers, including 100 from Corpus Christi, and with Memorial Day approaching one local veteran feels thankful to have survived that conflict. The former Marine was close to death in Vietnam. Decades later, his search continues for the man that saved his life. 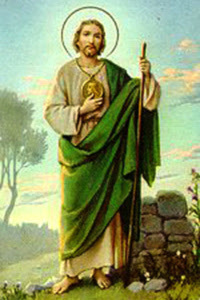 He believes he will find him in Corpus Christi. Joe Elizondo has three purple hearts and has been honored by U.S. presidents nine times for heroic acts, but he has a hero of his own from his time in Vietnam. 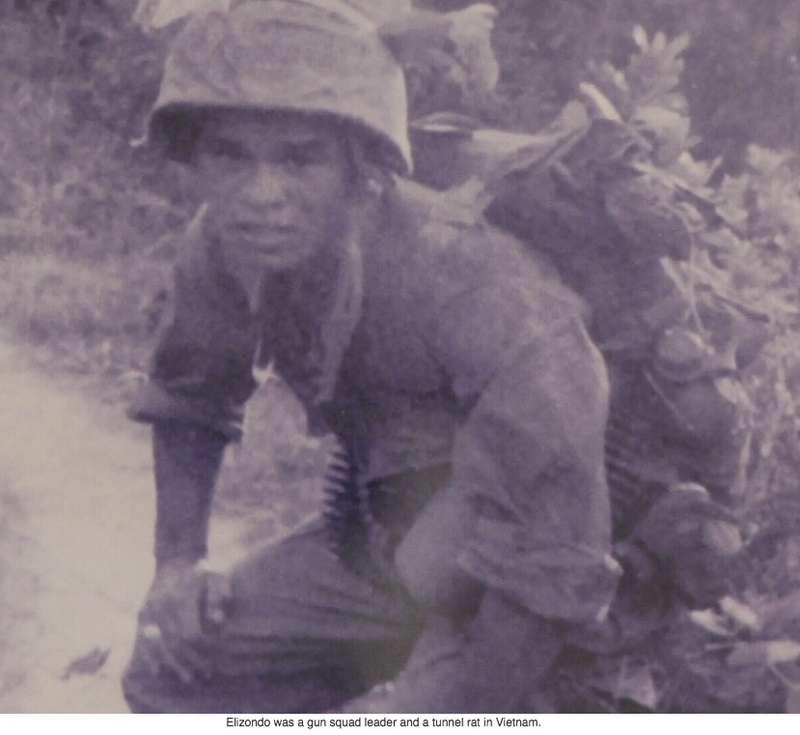 Elizondo was a gun squad leader and a tunnel rat, taking on dangerous underground missions. He was stationed in Cong Tien, one of the most dangerous war zones near the demilitarized area. It was so dangerous it was dubbed "The Place of Angels." 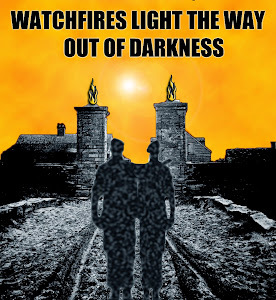 "We had gotten in the morning 11 lieutenants. And they had just arrived from the States. And the next day, only one survived," Elizondo recalled. One morning, the Americans were ambushed. "I got hit by a sniper, and the bullet went right through my side of my head, and went out the other side," Elizondo said, showing where the the bullet went through his neck. HARI SREENIVASAN: Tonight: reflections from author Brian Castner, who offers his Humble Opinion on why he felt most at home overseas fighting what he calls the forever war. 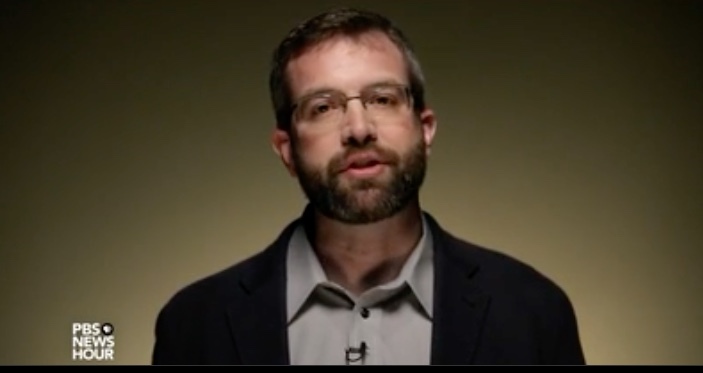 BRIAN CASTNER, Author, “The Long Walk”: It’s a little odd to be a veteran of a war that doesn’t end. I did three tours, got home from Iraq a decade ago. You think you have moved on, put the war in its place, and then you see Tomahawk cruise missile strikes on cable news, and you’re reminded that your war isn’t over. It’s just gone on without you. Some of us call it the forever war, the invasions of Afghanistan and Iraq, bombing Libya and Yemen, raids all over Africa, and now Army Rangers and Marine Corps artillery in Syria. It’s already the longest war in American history, and I have given up thinking peace is coming any time soon. Our nation has an all-volunteer military, and people join for lots of reasons: education, a sense of adventure, patriotism. But staying in the military, racking up five, six, seven tours, that’s a different kind of decision. There are plenty of ways to pay for college that don’t involve getting shot at over and over again. So why did I do it? 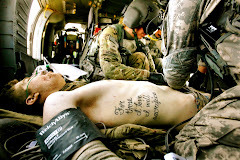 Why do soldiers choose to keep serving in the forever war? For some veterans, every day is Memorial Day. Some are haunted by all they've experienced, by who and what they lost. In some wars, they came home as heroes. That was not the case for Vietnam veterans. 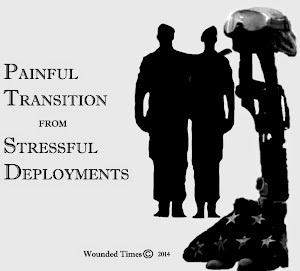 Many now suffer from post-traumatic stress disorder. ANGEL FIRE, N.M. -- U.S. Marine 1st Lt. Victor David Westphal III died in May 1968. After Westphal's death, his parents began the construction of the Vietnam Veterans Peace and Brotherhood Chapel in Angel Fire. The chapel was built to be an enduring symbol of the tragedy and futility of war, and it has become a place where people come from near and far to look for peace. Earl Watters came from Rio Rancho. For him, this place is personal. "Well, the first thing that comes to mind is all those who lost their lives," he said. 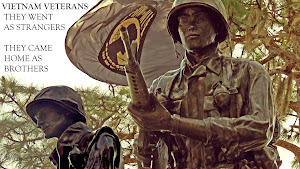 Nearly 60,000 servicemen and servicewomen lost their lives fighting in Vietnam. The memorial in Angel Fire was the first of its kind in the country to honor those Americans. Allan Ford and his family came from Pensacola, Florida to Angel Fire. He remembers those who gave so much, and especially those who gave everything. "A lot of my buds, Army buds, were all Vietnam veterans," he said. "They got nothing when they got home, so something like this it's very meaningful to them, very meaningful." The Angel Fire chapel was created 11 years before the memorial in Washington. But surprisingly, it's only been in recent years folks have come to acknowledge that war. All those years ago, Watters remembers coming back with no welcome home at all. Reporter Took Powerful PTSD Story on Female Veterans and Blew it! Reporters didn't care over three decades ago, when I got into all of this. I never read about them unless it was a report on one of our veterans getting arrested. My research was about Vietnam veterans coming home and suffering. Soon I discovered that no wound of war was new. All generations came home and were infiltrated by what they thought they left behind them. I tired to get several to let the country know what was happening to veterans and their families. None of them were interested. 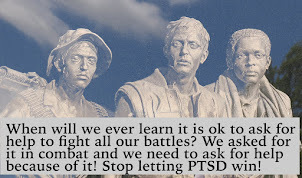 One reporter told me it sounded like "sour grapes" after I told him about PTSD and how claims were being turned down and veterans were being turned away from the VA. Back then there was a huge backlog of claims but the VA had started to work on PTSD. Now there are reporters all over the country trying to get this right. 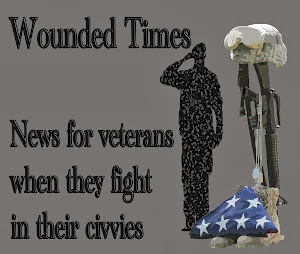 They have been failing because they are outnumbered by other reporters doing a simple Google search to find the easiest answer on what our veterans face after surviving combat. 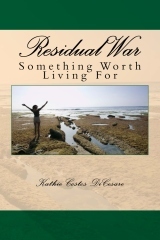 Margie Fishman found an amazing female veteran with a powerful story to tell. She wrote the article as if she cares, and it is a good story to read once you get past this part where she blew it. "An estimated 22 veterans commit suicide each day, or one every 65 minutes, according to the U.S. Department of Veterans Affairs." WRONG Here is the link to the VA Suicide report from 2012 she is still using and within it, the VA had a warning about using the "22 a day" but the headline was grabbed and even I believe it until I found the actual report and read it. "The estimated number of Veterans who have died from suicide is based on data obtained from 21 states and has been calculated using service history as reported on death certificates. An assessment of Veteran status on Washington State death certificates identified a measurable amount of error among those with history of U.S. military service. Therefore, estimates of the number of Veterans who have died from suicide each day based on proxy report of history of U.S. military service should be interpreted with caution." Limitations of Existing Data Currently available data include information on suicide mortality among the population of residents in 21 states. Veteran status in each of these areas is determined by a single question asking about history of U.S. military service. 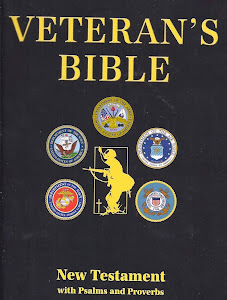 Information about history of military service is routinely obtained from family members and collected by funeral home staff and has not been validated using information from the DoD or VA. Further, Veteran status was not collected by each state during each year of the project period. 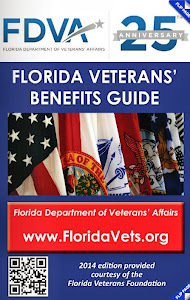 Appendix B provides a listing of the availability of Veteran identifiers by state and year. Further, this report contains information from the first 21 states to contribute data for this project and does not include some states, such as California and Texas, with larger Veteran populations. Information from these states has been received and will be included in future reports. PLUS, forgotten in all the reporting is that it is older veterans who need the most help but are getting none of the attention from reporters. Specifically, more than 69% of all Veteran suicides were among those aged 50 years and older, compared to approximately 37% among those who were not identified as Veterans. 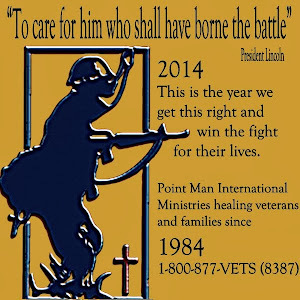 We are also in the peak seasons for veterans committing suicide. There also appears to be a seasonal trend with more suicide events in the spring and summer months noted in 2010 and 2011. "Female veterans commit suicide at nearly six times the rate as other women (they're 33 percent more likely to use a gun than overdose on pills). They are also two-to-four times more likely than civilian women to be homeless, according to federal statistics." This is from the LA Times Suicide rate of female military veterans is called 'staggering' by Alan Zarembo. The rates are highest among young veterans, the VA found in new research compiling 11 years of data. For women ages 18 to 29, veterans kill themselves at nearly 12 times the rate of nonveterans.In every other age group, including women who served as far back as the 1950s, the veteran rates are between four and eight times higher, indicating that the causes extend far beyond the psychological effects of the recent wars. So if anyone asks, I'm glad reporters care now, but greatly saddened by the fact too many just don't seem to care enough. 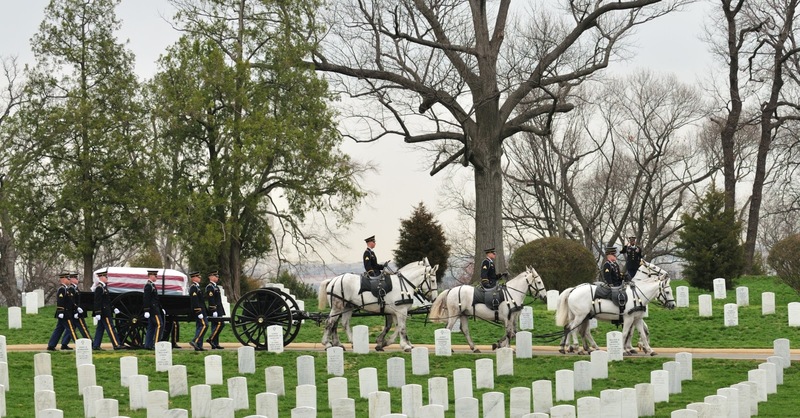 This Memorial Day, Petters wants you to remember the soldiers who died on and off the battlefield. "Our American Hero" wears military fatigues, an M16 and a perma-smile next to two emblems of freedom — a waving American flag and the Statue of Liberty's blazing torch. 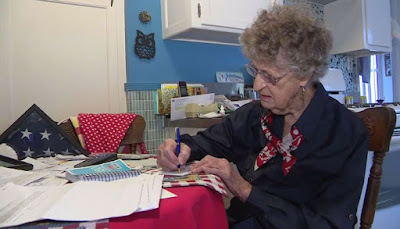 Delaware Air Force veteran Kim Petters sneers at the framed photograph, which she retrieved from her garage at a reporter's request. Her photo album, capturing a decade of service, is missing in action. 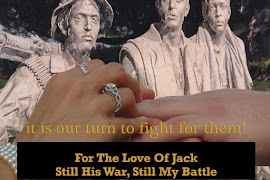 Since retiring from the military in 2012, it's been a daily struggle for the Dover mother of four, who feels robbed of her freedom by a war she still doesn't fully understand. "We went in looking for weapons of mass destruction, right?" the petite brunette grumbles. "Did we find any?" Suffering from post-traumatic stress disorder, Petters can't pass an American flag in a flower bed without her mind racing to flag-draped coffins. She thrashes so hard during intense nightmares that her husband must hold her legs down. "All I can see is 20 bodies," says the former medical administrator, who was tasked with shepherding fallen soldiers home during the Iraq War. "I can almost smell it again." This video is from 2006 and re-uploaded on PTSD and what it looks like.